Few decades back, communication technology develops drastically. Especially the concept of STD and ISD makes amazing work. With this concept beginning of 90’s landline phone becomes essential and affordable home appliances. During that time we are totally illiterate about mobile communication. When mobiles enter to the market, people were amazing about its performance. That means mobile is instrument which can carry out any where and used for communication. Till that time, only land phones are the major media of communication. Beginning the mobile call rates were very high, even we have to pay for the incoming calls. This makes that mobile is only for business people / official purpose where the bills are paid by office. During that time RIM – The Reliance Company introduces CDMA mobile network and through that it tries to reach the common person also. May be after 2 -3 years other than business and official, common people also get used of it. And day by day due to heavy competition in the market call rates come down drastically and become popular. In present scenario all are willing to have more than one set. Now people are looking and comparing the rates, features of the mobile connections. As a result so many companies are introducing new mobile phones as well as mobile net work to the market. 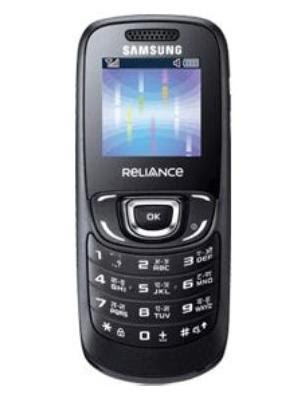 In this view, Reliance is introducing a new CDMA hand set to the market, called Samsung Breeze B209. It is very affordable and able to reach the all kind of peoples. It comes with a Dimension of 108mm X 44.8mm X 14.3MM and weighing around 72.3 grams with battery. Having a screen of 1.52 inches with 128X128 pixels CSTN display. Operates on 800MHz with operating system of Qualcomm Brew. Li-Ion 1000mAh battery provides 260 minutes of talk time and 470 hours stand by time. Phone book memory helps to save 1000 no and 200 sms and 300 number of call history. Mobile tracer 2.0 helps us to track the mobile in case of theft. USB port will support to down load the wall papers, ring tones as well as charging. It is having Cricket is one of games in it. It supports Offline mode, Voice mode and Voice mail also. We can send SMS, MMS. Personal Information Management system is having Calendar, clock, world clock, alarm clock, converter, calculator, stop watch, memo book and even countdown timer. It is speaker phone with multi party and caller ID & timer. Phone supports FM station. It is available in Black color. 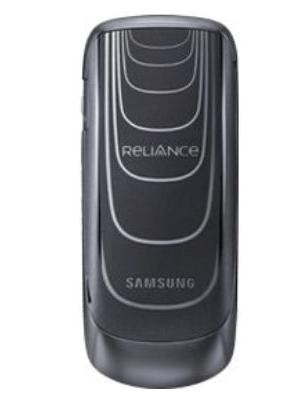 In India, Samsung Breeze B209 CDMA phone is available approximately at the cost of 1000INR with hand set with head set charger, USB cable and user manual.